Loose Brilliant White Rustic Diamond In 0.74 Carat For Engagement Ring. Regular price: 220 130 Gemone Diamond In stock! Order now! This 0.74 Carat Kite Shaped Loose Rustic Diamond come with opaque clarity for all type of fine art deco jewelry at wholesale price. You will get any size of a rustic diamond from Our diamond collection. 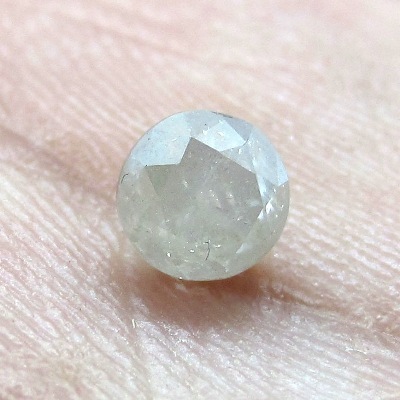 This is 4.95 x 4.50mm natural icy loose diamond with a brilliant shape. SKU: GD 1874. Categories: Diamonds, Rose Cut Diamonds, Rustic Diamonds, Value Deals. Tags: Loose Brilliant White Rustic Diamond, loose diamonds, rustic diamonds. 0.74 Carat Loose Brilliant White Rustic Diamond steps cut in white color with great quality of this icy diamond. 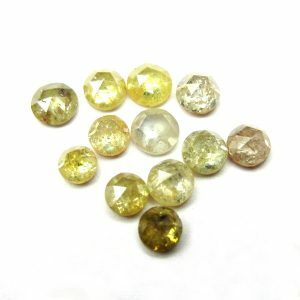 As a manufacturer of diamonds, We can provide any size of natural icy milky loose diamonds rose-cut, round brilliant cut, pear, oval and other shapes in any colors and at the affordable price to our customers. Are you searching for a classic diamond? Then you are at right place. You can select this solitaire Loose Brilliant White Rustic Diamond from Gemone Diamonds. People always choose jewelry or diamonds the same as somebody but nowadays it proves unique and trendy diamond. So, its best option to buy fro your unique designer jewelry. If somebody likes to wear fashionable jewelry, like to wear classic and old and different look, icy diamonds is what an option. If you wanted to buy a loose rustic diamond, then you can choose this icy white color or silver color diamond for your classic jewelry. We understand that our customers need where their diamond come from and we share that concern with you. It is available in all size, shape, and color. 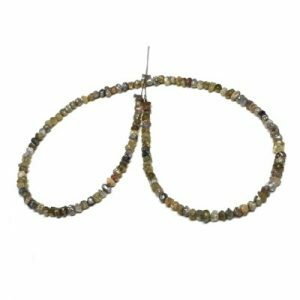 If you know more about rustic diamonds you can read our blog link in below. 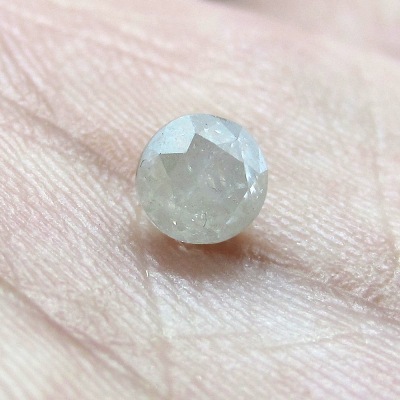 Natural Loose Diamond comes with brilliant cut steps with white color. You will be getting a solitaire size 0.74 Carat weight diamond. The icy diamond clarity is opaque. 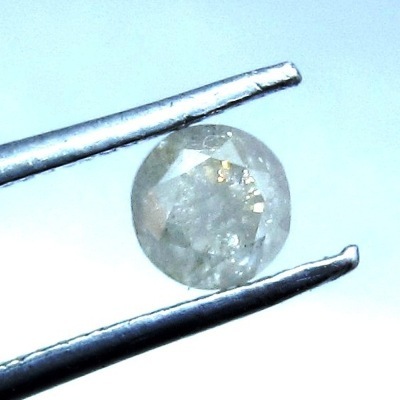 Because Icy diamond is more popular with a different name such as rough diamonds, uncut diamonds, specimen grade diamonds, industrial diamonds, cloudy diamonds, decorative industrial diamonds or just a plain Borts diamonds. 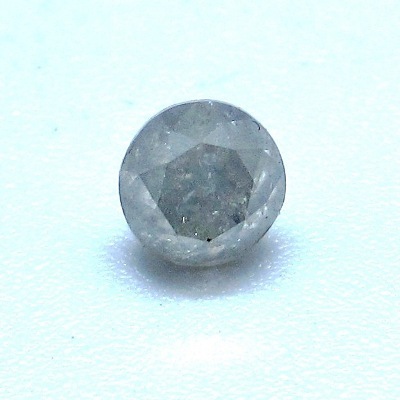 As icy diamonds are having inclusions and impurities that give it a unique color. Most of the jewelers use it with other gemstones for making an antique ring and contemporary designs. Nowadays the use of icy diamonds is growing. 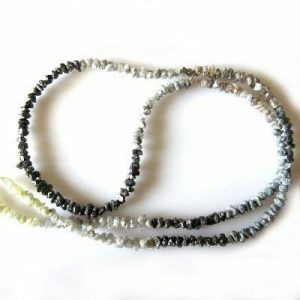 The reason being its demand for custom make and unique style jewelry. Icy uncut polished diamonds are the first choice for making antique engagement ring and artistic designed gold and silver rings, pendants, and custom design jewelry. Why Will You Purchase Only Icy Diamonds? Because the price of these diamonds is very much lower as correlated to their White counterparts or even black diamonds. Its made with the help of industrial rough diamonds or Borts, which price is lower. Icy diamond is accessible in many colors, sizes and quality. As an icy diamond manufacturer, we can make any shape, size, and color diamonds depending on the rough availability. So the trend is just taking fire, we still have noticed little of icy diamonds as the jewelry. Some jewelers have already carved out the niche using icy diamond as their USP. Let see what future it holds.